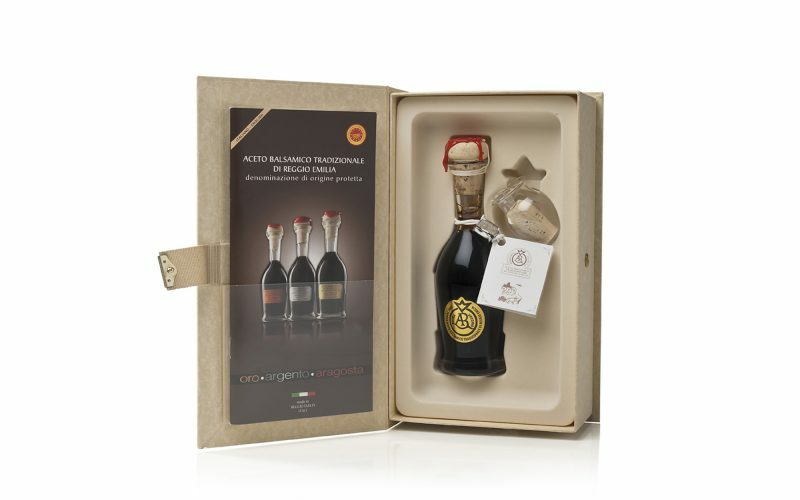 The Traditional balsamic vinegar of Reggio Emilia DOP gold label is the crown jewel of Reggio’s traditional vinegar. It is aged at least 25 years in barrels of 7 different kind of woods. The taste is unique round smooth and very persistent. 5 judges establish the suitability to the sale. It is often combined with aged cheese and spicy\chilly cheese, beef fillet, pumpkin tortelli, but even with wild berries, icecream, ananas and strawberries. According to someone, It gives the best when tasted alone.